This is my Project-8 or CC#8 of competent communicator manual in toastmasters. (Though this is posted on blog on 27-Sept-2016, I delivered it in club on 30th-Mar-2013). Project 8 is about getting comfortable with visual aids. I leveraged on my stay in Japan, used "before-after" images to demonstrate it's "resilience" & articulated possible reasons of resiliency. I used power-point slides as visual aids. Konnichiwa is Hello or good day in Japanese. After spending close to 8 years in Japan, a frequently asked Question is what’s learning for us – Indians! I kept on thinking on this and came to conclusion that the Resilience is what we should learn from Japan. Resilience is ability to find inner strength to bounce back from a set-back or challenge. More resilient you are, faster you will bounce back. Let’s understand This. Japan is country prone to natural disasters. Earthquakes, Tsunami, & Typhoons – you name it and they have it. For example this 11-th March 2011, Tsunami triggered by 9.0 Richter scale EQ. This is third largest EQ every happened in this century. It triggered Tsunami of 133 ft. high, and almost 30 ft. high waves hit the shores. Disaster was telecasted almost all over the world. The damage was exorbitant. This is just nothing. But Hiroshima-Nagasaki Bombings were worst! When that “Little Boy” hit Hiroshima – The city was literary wiped off! This is image of before and after the bombing. Absolutely everything was wiped off. Scientists said the radiation was so bad, that nothing will grow for 100 years there. Damage to country and psyche of people was so bad, that they said, “Japan will never stand up again”. This is Hiroshima today, the bustling city. This garden that you see is just walk-away from the centre – where Bomb was dropped. See the greenery today. One may claim that it is miracle; it is if it is happening only in Hiroshima. But it works every-where in Japan. Look at this, these images of Tsunami places – just one year after. Look at this – not only roads, but even business are also functional. Think – how the place will be after 40 or 50 years! That’s Resilience – You bounce back from ashes! This resilience is all about citizens and communities. Citizens and communities are nothing but the Culture!! What’s the culture of Japan, that’s making this possible! Culture is really a complex thing to study & has long list of areas to think. But let’s consider only 3 of them due to paucity of time. Can you see this man; he is actually setting his wrist-watch based on the train-timing. Imagine this in India! Here is 1920 poster that shows how much time each of this hair-style takes; within that time how long will you reach by train! It’s in 1920.Here is a late pass, which they issue to passenger in case the train is late by few minutes. You can hand-over this in your office and then office won’t mark you late! It is said that all such small efforts really counts and national inventory of Japan has dropped. That means to secure a critical item in Japan you need to plan only for 3 hours, this period is 3 months for India. ! 2nd is Discipline. It’s phenomenal in Japan. See this first image, its train station in Tokyo. Compare to any station that you know. And you see that Yellow line – It is textured line – so that even blind person can catch the train without any assistance. See those Station-Masters are struggling to close the crowded train and others are calmly waiting. Here is another image of escalator. Can you see only one side is occupied neatly. Another side is kept vacant – so that someone who is in rush can run along. The real acid test of discipline comes when disaster strikes. See these both images are taken just during 11-Mar Tsunami incident. See how disciplined citizens are. There is absolutely no Chaos. I have an incident to share. It was pretty late night, I was returning from office. There was hardly anyone on the road, not even cars. A very drunken man was coming towards me. And it was still some distance, and he suddenly stopped. I could not understand what happened. I was still walking. And then I realized he stopped for road signal. That’s the discipline – it is ingrained in their blood. See this road; this is near to station towards school. It’s absolutely clean. I used to make a fun – by saying that their Public Toilets are cleaner than our kitchens. See this inside of train. And the dust-bins – separate for burnable/unburnable/kitchen waste etc. You may feel this is inside premises and hence clean. See this. Cleaning products is multibillion $ industry in Japan. 600+ antibacterial products. They have some crazy things like touch less toilets, or virgin money. I will suggest checking this more on internet. But what I feel that these three things punctuality, discipline and cleanliness will not make any country only a resilient but also a best place to live – what do you think? It is not wonder that this great patriotic saint Vivekananda found this in his brief visit to Japan. He said this in 1897 in his interview to Hindu, that “I would wish that every one of our young men could visit Japan once at least in his lifetime”.So Toastmasters – when are you visiting to Japan? Over to MOC. Disclaimer: Figures, images etc. are taken from online resources purely for learning purpose only. How one Harvard Professor found his life purpose! 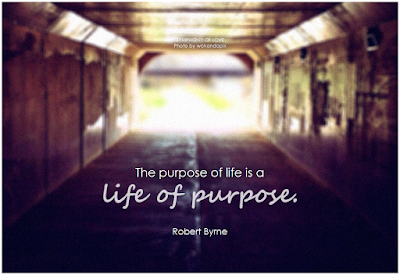 Finding purpose of life often requires deep introspection. You have to struggle, face dilemma's for long period. It not only tells his internal struggle, but also conveys invaluable returns. For me, having a clear purpose in my life has been essential. But it was something I had to think long and hard about before I understood it. When I was a Rhodes scholar, I was in a very demanding academic program, trying to cram an extra yearʼs worth of work into my time at Oxford. I decided to spend an hour every night reading, thinking, and praying about why God put me on this earth. That was a very challenging commitment to keep, because every hour I spent doing that, I wasnʼt studying applied econometrics. I was conflicted about whether I could really afford to take that time away from my studies, but I stuck with it—and ultimately figured out the purpose of my life. Had I instead spent that hour each day learning the latest techniques for mastering the problems of autocorrelation in regression analysis, I would have badly misspent my life. I apply the tools of econometrics a few times a year, but I apply my knowledge of the purpose of my life every day. Itʼs the single most useful thing Iʼve ever learned. I promise my students that if they take the time to figure out their life purpose, theyʼll look back on it as the most important thing they discovered at HBS. If they donʼt figure it out, they will just sail off without a rudder and get buffeted in the very rough seas of life. Clarity about their purpose will trump knowledge of activity-based costing, balanced scorecards, core competence, disruptive innovation, the four Ps, and the five forces. Harvard business review has article of the same title. His TED talk is also available here.